I’ve made this flatbread appetizer on several occasions. It’s easy to put together, and great for a savory side dish for a party. 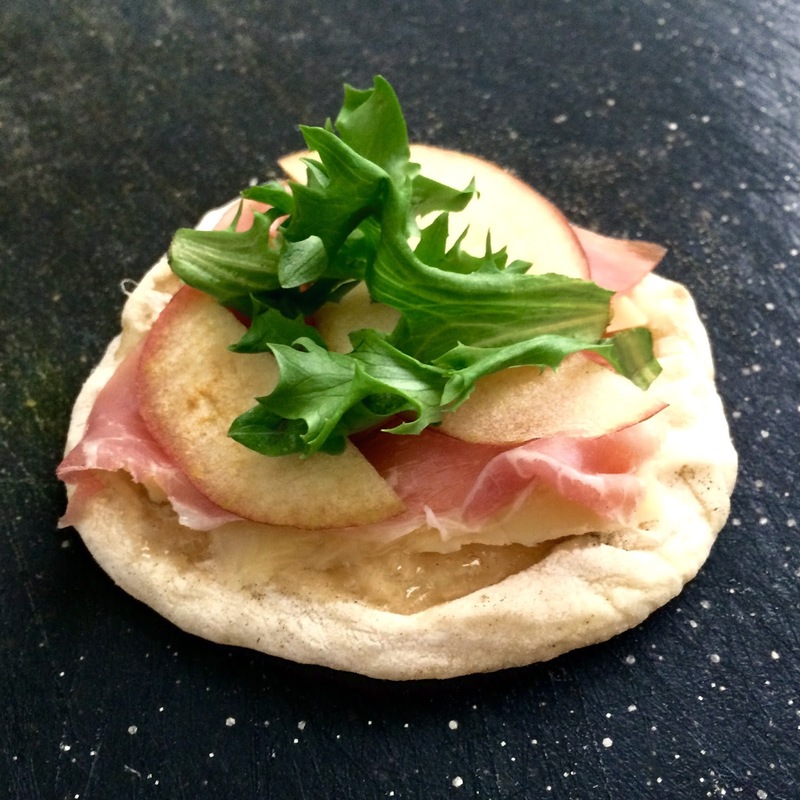 I love the layers of the different flavors and textures – flat bread, fig jam, cheddar, prosciutto, apples, and arugula. I recommend using a crisp, sweet variety of apple, such as Fuji or Honeycrisp. If you have never paired prosciutto with fruit, it is a lovely experience. Fig jam can be found in Whole Foods or Trader Joe’s, or can be substituted with another type of fruit spread. Preheat oven to 375 degrees. Place flatbread on baking sheet and bake for 5 minutes. Remove from oven and flip. Spread fig jam on flatbread, then add cheese slices. Layer prosciutto over cheese, and top with apple slices. Bake for 5 minutes. Remove flatbread from oven and top with arugula leaves. Lightly spray or drizzle olive oil, and sprinkle a dash of salt and pepper. Let cool slightly, cut into slices, and serve.